UAL~WCA Costume: Wimbledon students represent at the UUK Creative Industries Launch! Wimbledon students represent at the UUK Creative Industries Launch! 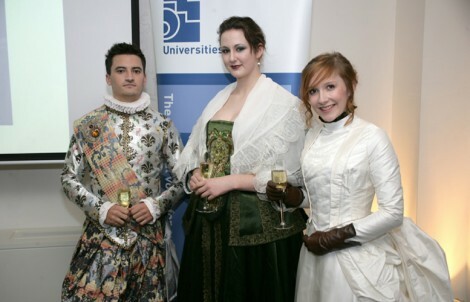 Four Wimbledon College of Art costume students recently participated in the UUK Creative Industires Launch event, which took place at High Holborn on Wednesday 1st December 2010. Lubica Halmova, Nell Robinson, Maddy Jenkins and James Dickey all contributed to the event, either designing or wearing costumes that had been made in Wimbledon studios. 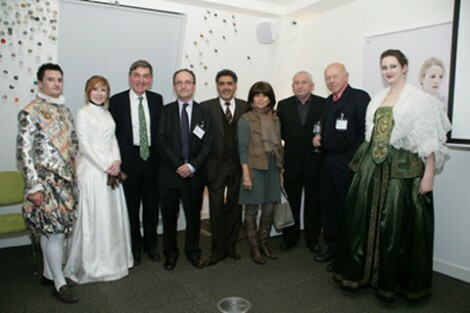 The event, which starred guest appearences from James Cann, entreprenour and Dragons Den panellist and John Bird, founder of the Big Issue and who also attended Chelsea, highlighted the crucial role higher education plays in boosting the UK creative economy. 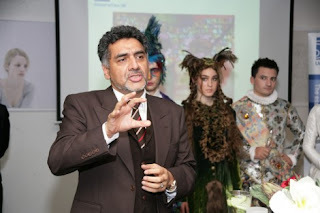 Other speakers included Nicola Danrigde (Chief Executive of the UUK), Geoff Cossick (Vice-Chancellor of the University of London and Nigel Carrington (Rector of the University of Arts London). The creative industry that is worth almost £60bn to the economy, demonstrates why sustaining that contribution with continued investment will become increasingly important to economic recovery. Within their courses, universities are increasingly creating opportunities for hands-on experience in industry as a way of enhancing the employability of their graduates and creating a valuable resource for participating organisations.